Ongoing Israeli instigated violence in the West Bank and East Jerusalem (along with intermittent Gaza bombings and cross-border incursions) is part of its longstanding ethnic cleansing policy. The objective: maximum Jews and minimum Arabs, remaining ones confined to isolated ghettoized bantustans on worthless scrubland. Nothing this extreme would be happening without US approval. What began in late July with settlers killing three Dawabsha family members by immolation, followed by violent Israeli rampaging through the Al-Aqsa Mosque shifted to intensified state terror throughout the West Bank and East Jerusalem, turning the entire territory into a battleground while Mahmoud Abbas and other PA officials do nothing to help defenseless Palestinians they’re sworn to serve and protect. 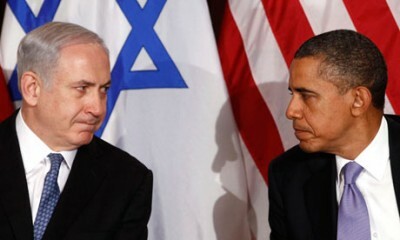 Their inaction reflects complicity, collaboration with Israeli viciousness. Where is world outrage? Why are Western and most regional leaders virtually silent in the face of ongoing Israeli atrocities? They include murdering young children threatening no one, breaking into Palestinian homes pre-dawn, terrorizing families, traumatizing children, damaging property, arresting innocent people, killing and brutalizing at will – a devastating reign of terror on an entire population. Israel is run by Arab-hating fascists, Zionist extremists and religious fundamentalist zealots – a police state rejecting rule of law principles, enforcing apartheid worse than South Africa’s version, allowed to get away with it because Washington approves. One rogue state supports another, partnering in each other’s high crimes. Israel is no democracy. It’s a machine for the manufacture of human rights abuses, Joel Kovel explains. Its Zionist ideology is a cancer harming Jews and non-Jews alike – a scourge on humanity. More than ever, global BDS activism is needed. The most effective way to confront Israeli ruthlessness is economic – hitting it in the pocketbook where it hurts most, convincing growing numbers of people worldwide to lend support. Israel considers BDS a strategic threat. It’s a significant force to be reckoned with. Each time a company or institution divests, Israel’s economy takes another body blow. Palestinians are buying fewer Israeli products, choosing ones from other countries more often. The whole world needs to follow their example. Shun everything made in Israel, especially illegal settlement products. In 2014, direct foreign investment in Israel declined by 46%, BDS effectiveness a contributing factor. In September, French company Viola divested entirely from Israel, costing its economy billions of dollars. It bears repeating. The best way to combat Israeli viciousness is economic, making its economy scream.